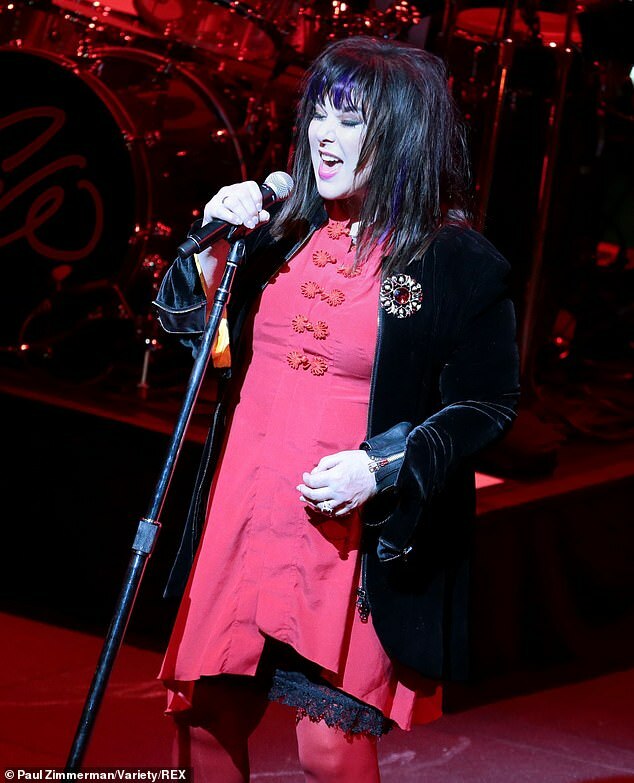 She still looks stunning at 60. 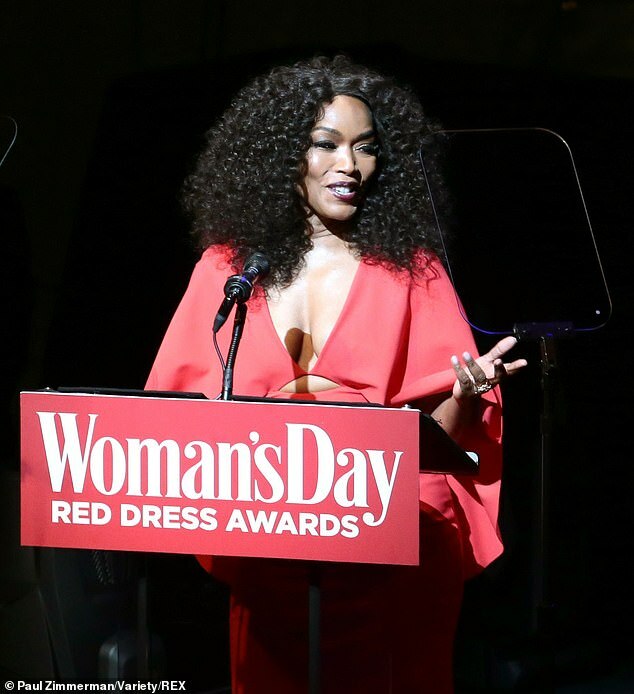 And Angela Bassett put her impressive form on display on Tuesday, when the American Horror Story regular wore a red dress with a deep, plunging neckline on the red carpet in New York. 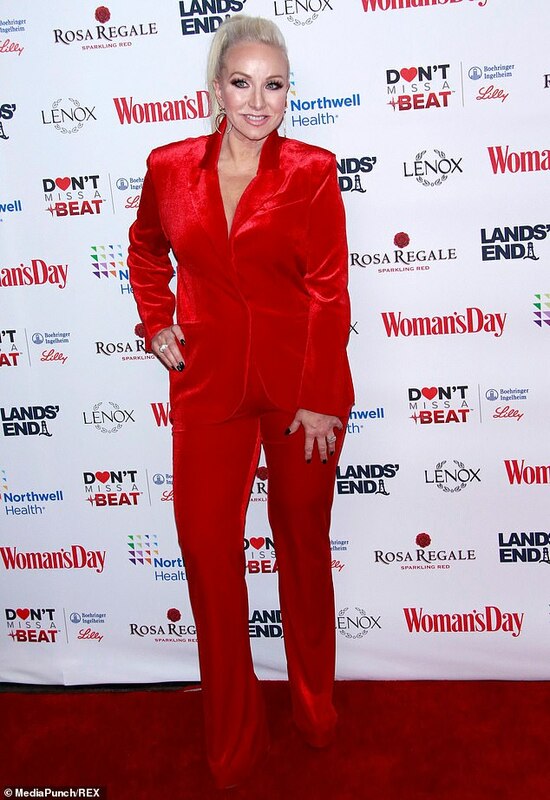 The cleavage-baring garment was worn in honor of the Woman’s Day 16th Annual Red Dress Awards, which also featured the likes of Susan Lucci, Alexa Ray Joel and Melissa Gorga. 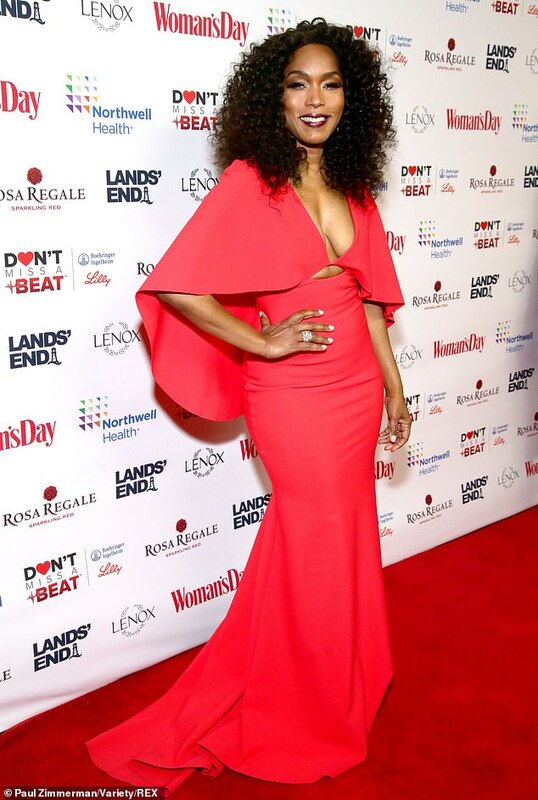 The 911 star’s full length gown boasted a cape addition which joined at the front to show plenty of Angela’s chest. The high point of Bassett’s makeup was a slash of deep red lipstick and she accessorized with gold hoop earrings and several diamond-encrusted rings on her fingers. The mother-of-two’s curly raven tresses cascaded down her shoulders as she posed on the red carpet. The awards are a way to celebrate those who have helped other women receive life-saving healthcare. 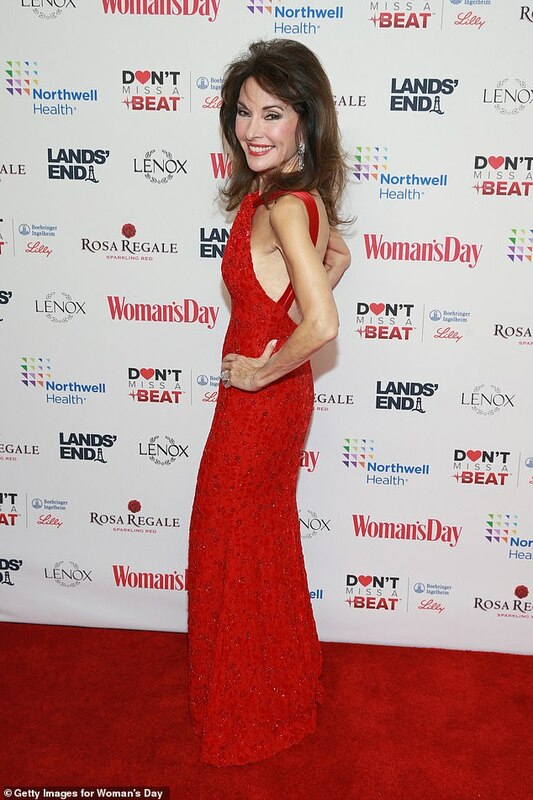 Bassett was honored on the night for her work as a spokesperson on the dangers of cardiovascular disease for women. The Black Panther star lost her mother in 2014 after she contracted Type 2 diabetes. 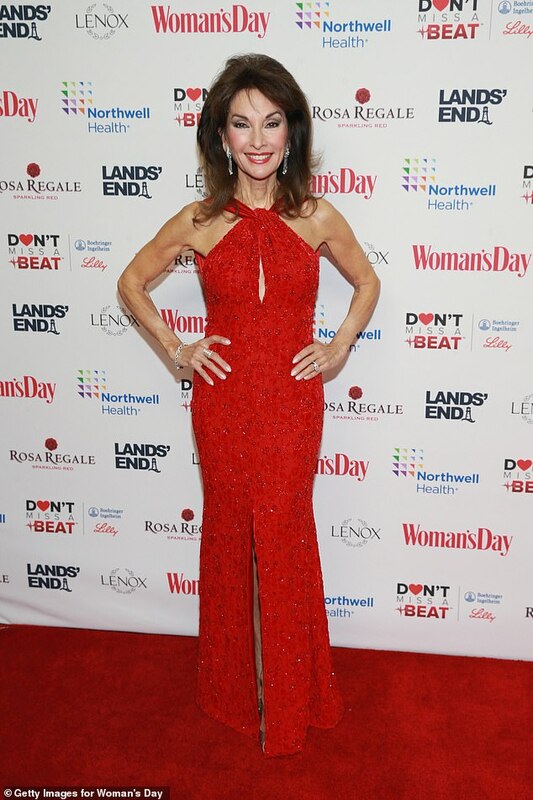 Meanwhile, Susan Lucci, 72, also looked decades younger than her years as she took to the red carpet. 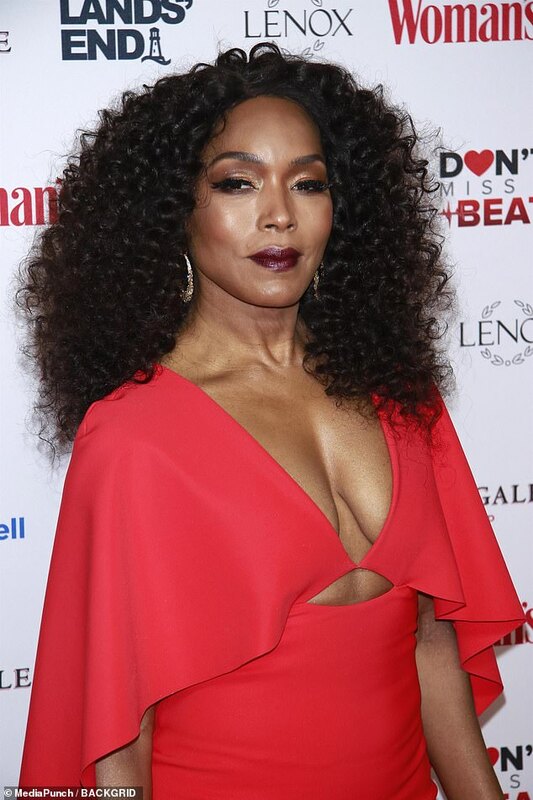 The All My Actress star looked ravishing in red on Tuesday, just as she had last Thursday before taking a tumble at The American Heart Association’s Go Red For Women Red Dress Collection 2019 at the Hammerstein Ballroom. 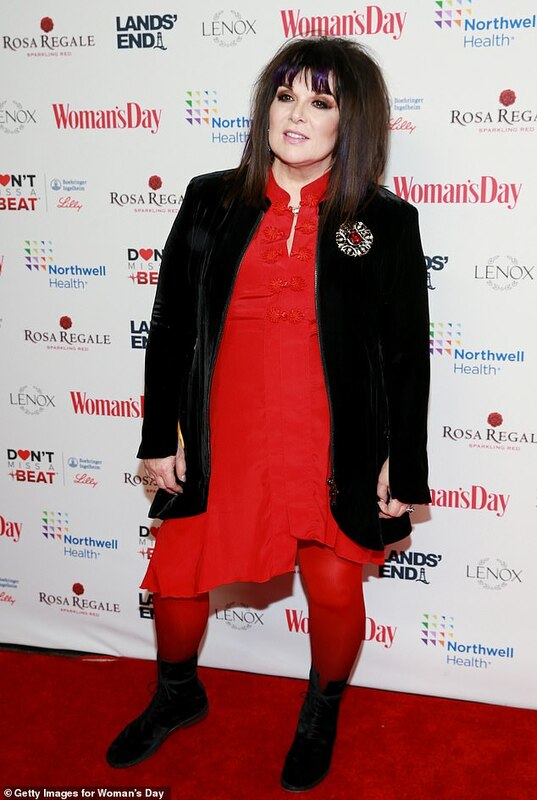 During her runway walk, the soap opera legend star accidentally stepped on her flowing red dress, causing her to take a spill, but she took it in stride with a sense of humor. Meanwhile, Alexa Ray Joel showed off her own prodigious cleavage in a red dress. The 33-year-old daughter of Billy Joel and Christie Brinkley showed she had plenty of front in the strapless, red tulle gown. 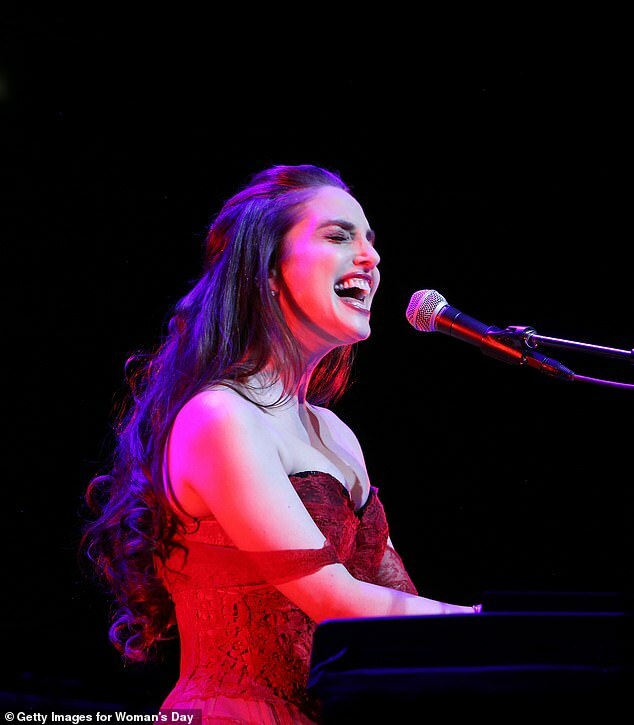 The singer, songwriter, and pianist wore her brunette tresses loose and tumbling down her bare back for the evening. 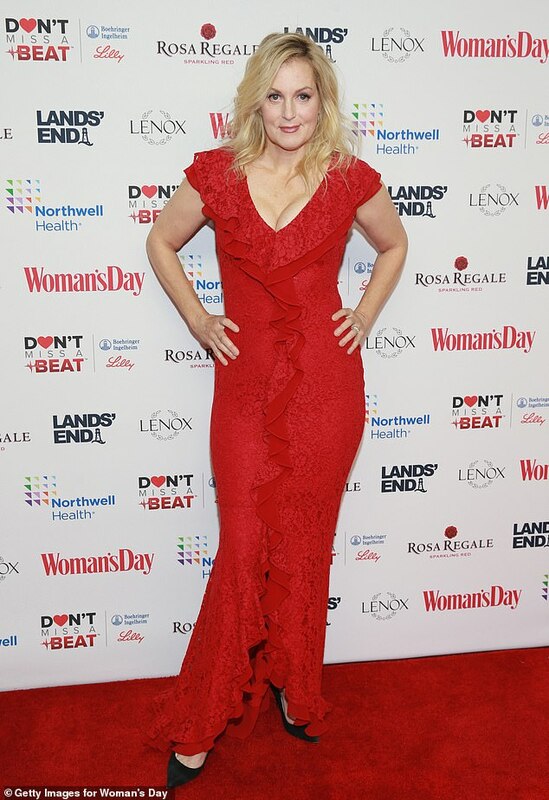 Meanwhile In Living Color alum Ali Wentworth hammed it up on the carpet. The It’s Complicated comedienne pouted and pulled faces for the cameras, all while rocking a physique-enhancing dress. The 54-year-old wore her wavy blonde tresses loose and flowing for the all star affair.